Leaving Quebec and heading west along the TCH. This is mostly boring driving with the scenery consisting of the trees along the sides of the road. This is broken up by passing one of the many small lakes in this area. Every wide place in the road reduces the speed limit to 35 - 40 mph, so it can be slow going. At least the price of fuel is dropping from a high of 79.9 per liter ($2.21/gal) to 67.9/liter ($1.88/gal). We are also seeing a great deal of construction. The season for road repair is so short that they all work on Saturdays too. Ottawa has one of the better museums that we have seen, presenting the history of civilization in Canada. It is actually across the river in Hull, which is in Quebec. Well worth spending half a day to see it. Ottawa is a very picturesque city that is also worth seeing. 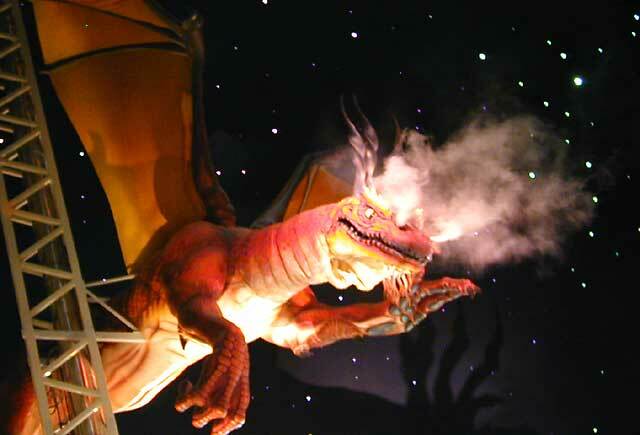 Sorry, but we didn't get any pictures to post. We saw this lone tree in a campground near Wawa (sounds like a baby wanting water!) on the shores of Gitche Gumee - also known as Lake Superior. It seems to have gotten a head start on the others around here. 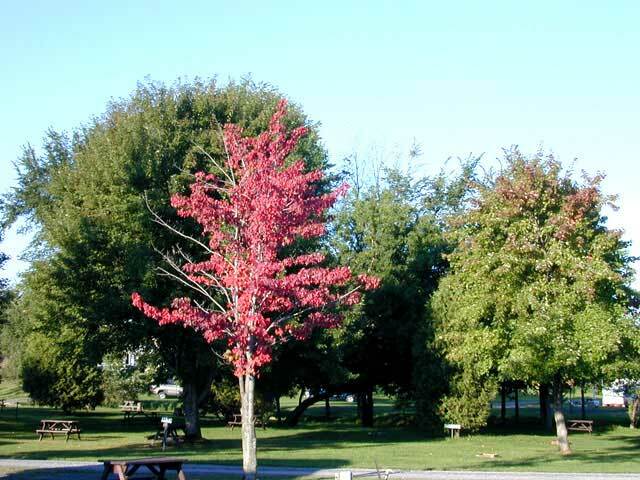 Although, as we drive along, we are seeing many more trees that are starting to change. By the time we make it back to Tucson, the cottonwoods and aspens will have changed. So, we are in for some beautiful scenery on our way there. Edmonton traces its origin back to 1795, when the Hudson's Bay Company trading post know as Edmonton House was established. Today, at over 900,000, Edmonton is a very large city for this part of the world. It is the capital of Alberta and is known as "Canada's Festival City" because of it's hosting of many world class conferences and special events. 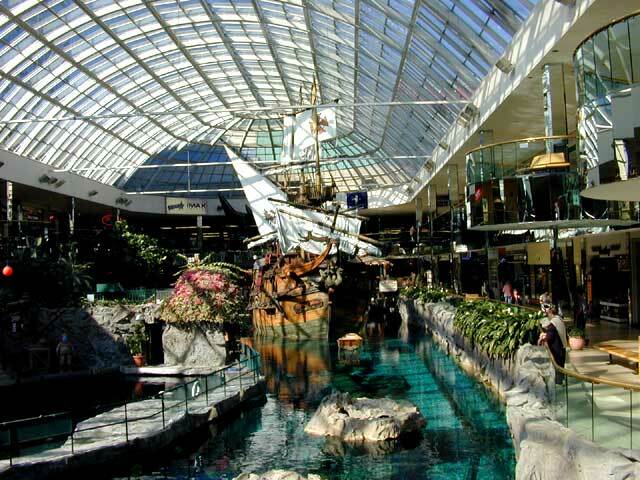 Of course, it is also famous as the location of The West Edmonton Mall which is the largest mall in the world. This place is amazing! 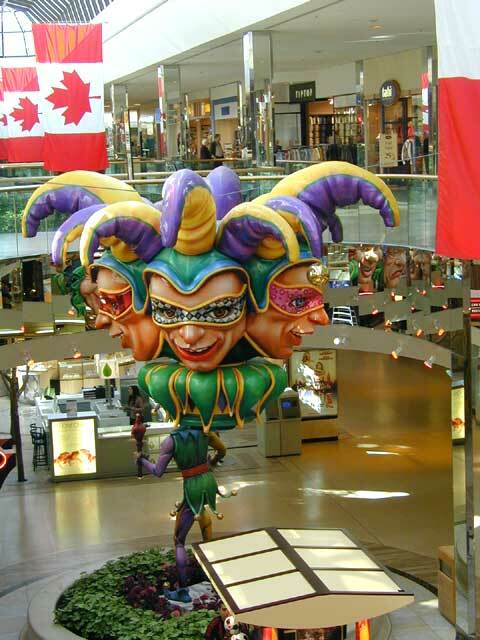 When you first enter, it seems like a large but normal mall, with all the stores that you would expect and then some. Then you start to find all of these other diversions. 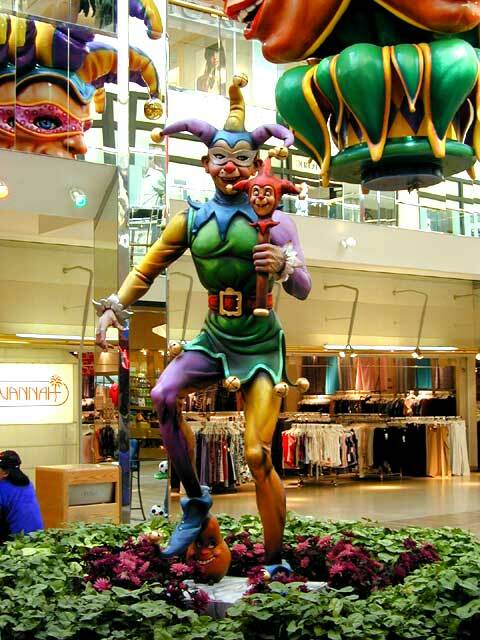 It turns out that it is both an amusement park and a mall. They have put a full size replica of the Santa Maria in a pool that also contains a submarine ride and a dolphin show. As you keep walking you come across a full sized ice rink. Then a huge beach with waves made by a machine. 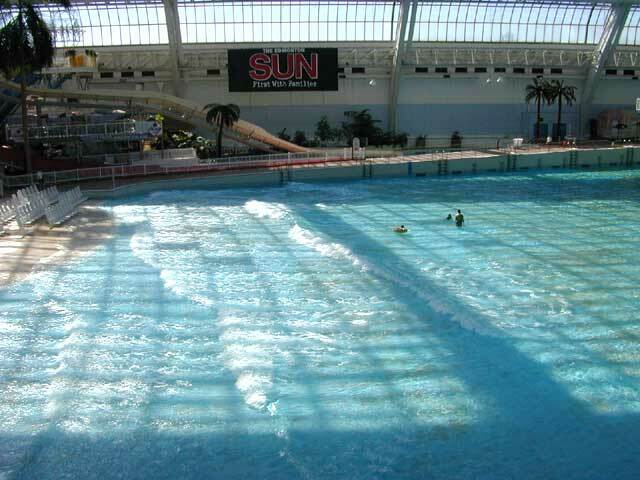 This area also contains the highest indoor water slide and bungee jump. 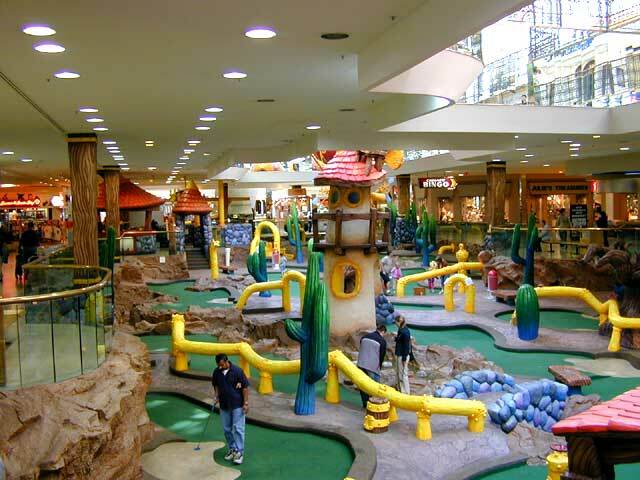 There is also a miniature golf course, an IMAX theater, over twenty movie shows and who knows how many places to eat. When you get to the third level you find the IMAX and the Silver City cinema complex. 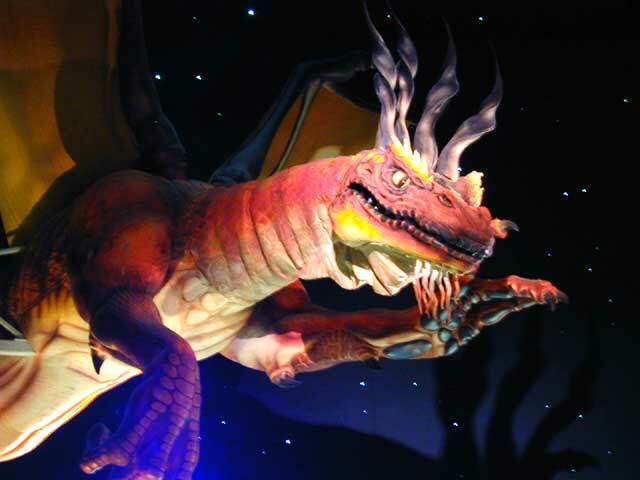 There are several famous characters from movies like Batman and Yoda that have been modeled way larger than life and are suspended in the salon area of the theaters. 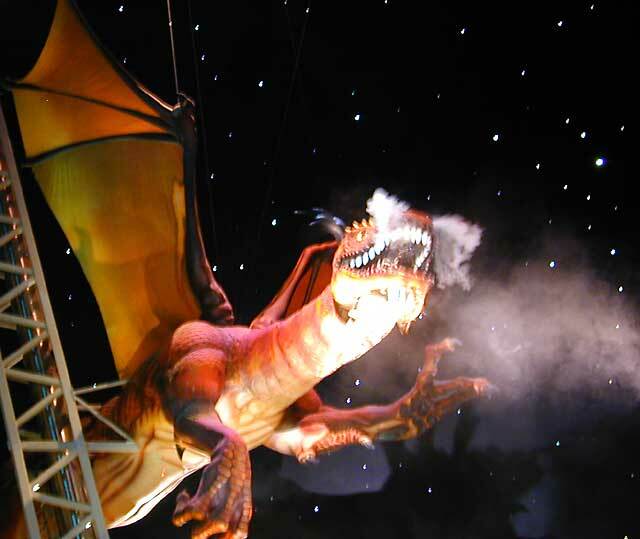 The best of all is the dragon that is hanging from the center ceiling. It is huge, with a head that is 4-5 feet in length. Normally it is just there ... but every 10-15 minutes it comes to life. 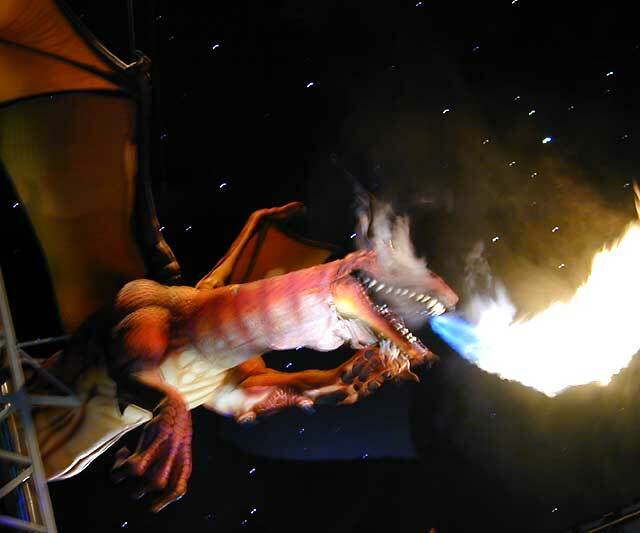 The sound effects come first and then it starts swinging it head and neck about and breathes smoke and eventually shoots fire from its open mouth. It is great!!! If you come to Edmonton you have to visit this place. We did almost no shopping but really had a great time walking around enjoying the entertainment. Arrived here in the rain (as usual) but the next day was clear and nice. Went to the zoo and it was very well done but we were not in the mood I guess, so didn't stay to see the entire thing. It is difficult to get enthusiastic seeing the animals in small caged environments after seeing them in the wild in Africa. The highlight of the day was going downtown and visiting the top of the Calgary Tower. This is a 626 foot tower with an observation platform and a restaurant. The elevator ride is 572 feet in 62 seconds. We were lucky to have a clear and crisp day so the visibility was great. Took some pictures to the west showing the rockies and stitched them together to make the panorama shown below.